BILATERAL relations and foreign policy behaviour, focus and priority, evolve and change in accordance with the structural shift in ecosystem and determinants at the global, regional and domestic levels. Hence, a state’s diplomatic relations and foreign policy have to be managed by an intelligent, bold, efficient and proactive national leader (Robert Jackson and George Sorensen, 1999, in Introduction to International Relations: Theories and Approaches). Prime Minister Tun Dr Mahathir Mohamad is an example of such a leader. His recent foreign policy statements at the Asean Summit in Singapore showed that he was as bold and sharp as ever in handling Malaysia’s foreign policy behaviour, focus and priorities — in order to protect the country’s interests based on the current security ecosystems. He was able to do this due to his understanding of the impact and implications of today’s international and regional pressures on Malaysia, other Southeast Asia nations, and their neighbours in the East Asian region. Realising the main international pressure affecting East Asian and Southeast Asian security dynamics today is the United States-China trade war, Dr Mahathir told the US that such action “will not do anything good to the world”. Realising further the current US imbalanced trade practices, he said that the superpower should stop its “neo-colonialist tactic” of suppressing other countries through economic sanctions. Acknowledging that Malaysia and most Asean states are facing anxieties due to the mounting US-China militarisation in the South China Sea, he informed the US that “the seas around the Asean region should be free of big warships”. Noting that one of the problems faced by Asean member states today is the impact of the escalating Rohingya issue in Myanmar, Dr Mahathir said to Aung San Suu Kyi that the “Rohingya should be treated as [Myanmar’s] citizens”. In the context of the first three statements, Dr Mahathir was aware that Malaysia-US relations and foreign policy were based on the principle of power asymmetric between a small state and a superpower. He also knew that Malaysia’s foreign policy and international relations were formulated on the principles of neutrality and non-alignment. But Dr Mahathir had informed the US of the above stand because pressures from current US policies in Southeast Asia and East Asia had threatened the regions’ economic and military security sectors. Likewise, he had informed Suu Kyi of the Rohingya debacle because he wanted Myanmar to resolve this identity security before it caused more serious problems for its neighbouring countries. Malaysia’s stand on all the above issues was also driven by Dr Mahathir’s awareness of the relative material power in the international system, being possessed by Malaysia, other Asean member states, and those states in East Asia. It is because “the scope and ambition of a country’s foreign policy is driven first and foremost by its place in the international system and specifically by its relative material power capabilities” (Gideon Rose, 1998, in Neoclassical Realism and Theories of Foreign Policy). 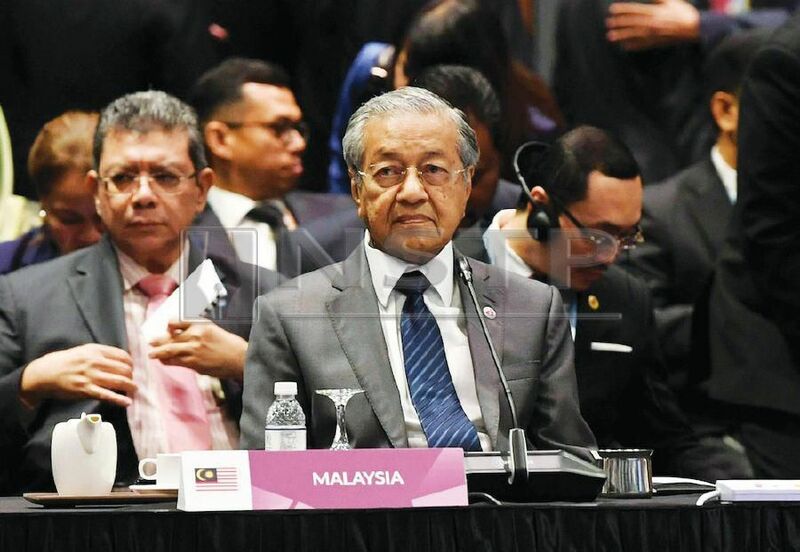 Dr Mahathir, however, did not announce Malaysia’s foreign policy re-orientation based on his idiosyncratic or iconoclastic character as perceived by several Malaysian analysts during his earlier premiership from 1981-2003. His actions were motivated by his consistent concern for Southeast Asian and East Asian security and driven by his leadership image. Dr Mahathir’s concern for other world communities, including the South-South countries, started in late 1990s when western powers introduced the new world order and globalisation. Related to the above, idiosyncrasy is not similar to leadership image. Dr Mahathir’s idiosyncrasy combined “his individual traits, political ideology and political leadership style” (Karminder Singh Dhillon 2009 in Malaysian Foreign Policy in the Mahathir Era 1981-2003: Dilemma of development). Leadership image, on the contrary, comprised “set of core values, beliefs and images” which guide “leaders in their interaction with the outside world and their understanding of it” (Norrin M. Ripsman, Jeffrey W. Taliaferro and Steven E. Lobell 2016, in Neoclassical Realist Theory of International Politics). These images, “once formed, they act as cognitive filters that inform how leaders process information — what they pay attention to; what they ignore; and how they understand signals, information, and events”. Hence, a national leader’s image is also expected to reflect his wisdom and ability in proactively assessing systemic, regional and domestic pressures to enable him to re-adjust his country’s foreign policy focus, priority and behaviour in accordance with existing security landscape. This is why Dr Mahathir also coupled the above foreign policy re-adjustment by hedging on Malaysia’s bilateral relations with other big powers such as Russia and China. This is evident when he announced in Singapore that Putrajaya would enhance its trade relations with Moscow through new co-operation in the field of technology. He also told a US-based television channel, Malaysia believed that China would not start war with its Southeast Asian neighbours over their overlapping claims in the South China Sea. In conclusion, Dr Mahathir’s current foreign policy orientation, focus and priority are similar to the ones in the Mahathir’s era 1.0, although with several adjustments due to the current imperatives and determinants, particularly resulting from the US policies in East Asia and Southeast Asia. DATUK DR RUHANIE AHMAD was a former Member of Parliament for Parit Sulong in Johor, (1990-2004).